With all their disagreements, one of the few things Israelis and Palestinians see eye to eye on is their love for humus. A creamy paste made of chickpeas, it is a national culinary favorite. 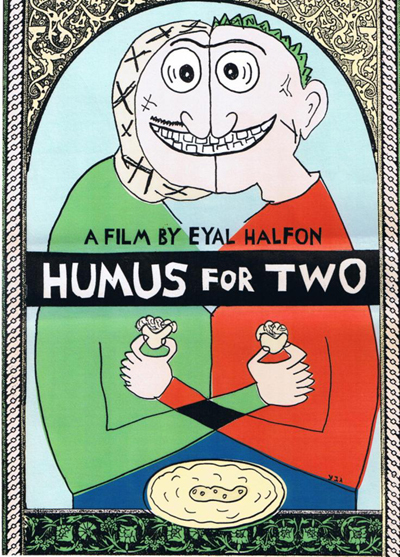 "Humus for Two” sets out on a voyage between the two parts Jerusalem – the undeniable capital of humus in the region (with all due respect to Acre and Rammallah). A city that is officially unified, but that bears too many scars, pains and disputes which prevent even eating a nice ball of humus on 'the other side'. The two parts of Jerusalem are presented here from a refreshing perspective. It is amusing, fascinating and certainly more delicious than your usual oppositional perspective.